There are many reasons to give a gift. It’s not restricted to a birthday or Christmas. At least, it shouldn’t be. Why can’t we give something to someone out of the blue? Just because we feel like it. The world has changed is many ways. It used to be that you had to save to buy a descent camera. These days we walk around with a high-resolution digital camera packed neatly into our smartphones….and the world is photo-crazy. Advancement in medicine and what is considered a healthy lifestyle has greatly increased the average lifespan. This means that although we are living longer, some of us are having to live with certain ailments and degenerate diseases, greatly impacting a person’s quality of life. What is there to do, though? 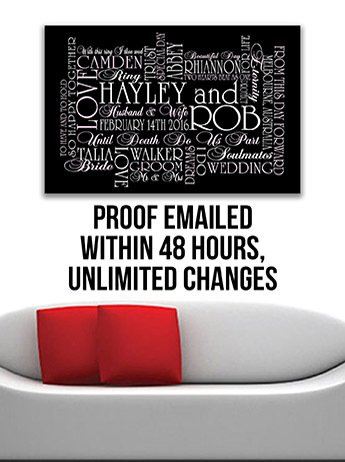 Welcome to Beyond A Word, Australia’s place to come for personalised canvas prints and customized artwork. You name it, we do it! The wedding market is one of the most reliable ones to tap into, as people are always getting married. If you have, in fact,decided to try your luck in this market by selling products and services that are tailoredaround wedding shoppers, then you should be shifting your focus online….